If you live in the South end of Aurora or Parker and are hoping to begin making improvements to your home or business, we have you covered for flooring, countertops, and more! You can update your space and increase your home value without having to spend a ton of money on quality carpet or flooring. 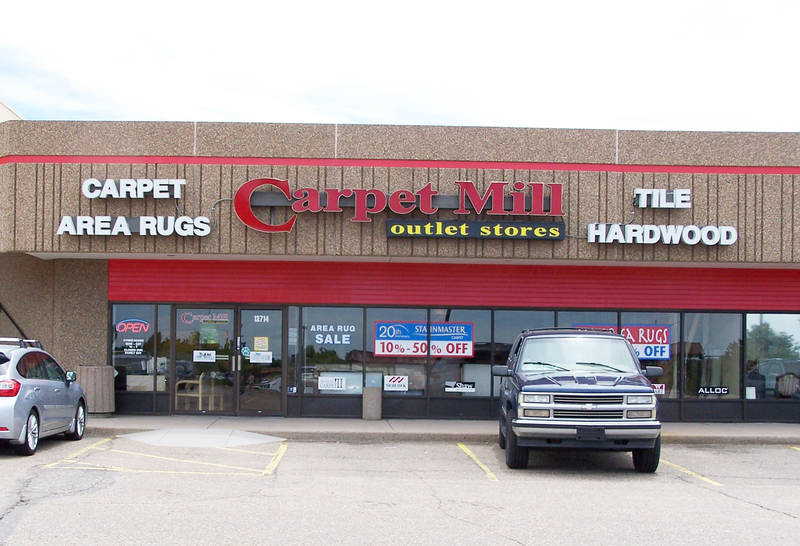 Carpet Mill Outlet’s Aurora South/Parker location offers shoppers the best selection of carpet and flooring at incredible prices! We carry various colors and styles of carpet, hardwood, laminate, COREtec®, WPC, tile, stone, area rugs, and more! We also hold eco-friendly options including trendy choices like Natural Bamboo. If you are trying to upgrade or improve your space, but are unsure when you should splurge and when you should save, utilize the expertise of Carpet Mill Outlet! The first step in choosing flooring for home-improvement ideas is to consider how much use and abuse your floor will get on average. The kitchen or living room tend to see the most foot traffic, meaning you should find a quality, durable carpet or flooring that can handle a lot! On the other hand, rooms like your guest room do not get a lot of action, so it may be better to choose a more budget-friendly option. Carpet Mill Outlet’s Aurora South/Parker store carries a large inventory of flooring choices that range in quality, style, and affordability. Our experts will help you determine the best flooring to improve your space and will take care of the installation as well! Granite is the perfect choice for kitchen countertop and high traffic areas because it is highly durable and lasts for a long time. It is heat resistant, nearly impossible to scratch, will not stain under normal use, resists bacteria, and more. Granite has the highest overall rating out of any countertop material choice! Carpet Mill Outlet carries a variety of gorgeous slab granite countertops that will add value and class to your space. Staring at $39 per square foot, you can choose from six versatile colors. Stop by our Aurora South/Parker location to find the right color and pattern to match your style! Schedule a free in-home measurement and estimate from Carpet Mill Outlet in Aurora South/Parker! Our goal is to make it easier and more affordable to update or remodel your home!